I was delighted to learn from a friend that Civil War Monitor recently reposted my piece on John Yates Beall, who was hanged as a spy and guerrilla in February 1865. His life’s story, complicated as it is by legend, rumor, mystery and conspiracy theories about Lincoln’s assassination, and the implications of the handling of his case by a military commission reverberate in today’s world. 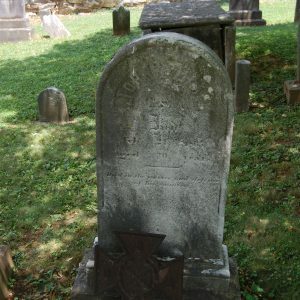 Beall’s gravesite at Zion Episcopal Church in Charles Town, W.Va. I will be speaking on Beall next month in Charleston, S.C., at the North American Society of Oceanic History. Now to get the biography done.